The Fort Wayne Ball Drop event adds to the list of many exciting developments happening in the downtown area, and encourages visitors and locals alike to make our city a destination experience. 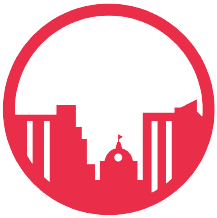 Your sponsorship reflects an ongoing commitment to Fort Wayne's momentum—providing a unique opportunity for our community to be a part of this exciting new tradition in downtown Fort Wayne. Find out more about the benefits of becoming a sponsor! Send us a message below to request a sponsorship packet. Tell us a little bit about your organization and we can design a partnership to best suite you! © Fort Wayne Ball Drop. All rights reserved.